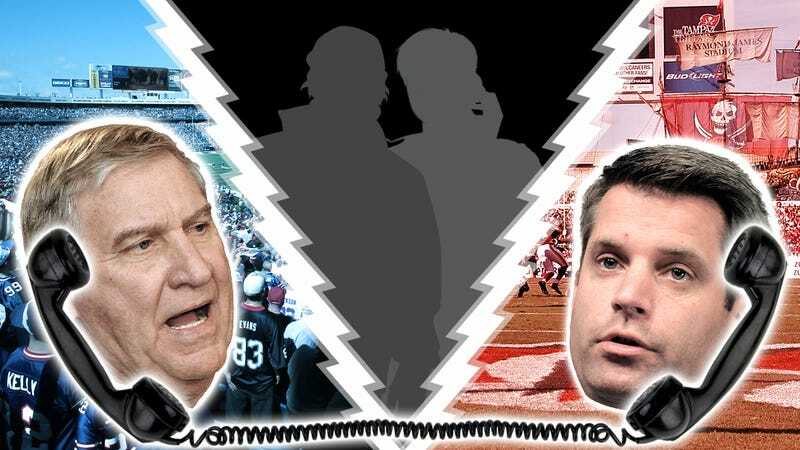 The two men who set up and recorded a conversation between then-Bills GM Buddy Nix and Buccaneers GM Mark Dominik will likely avoid prison time through an agreement with the government. The two will enter a pre-trial diversion program, and if they adhere to certain conditions for 18 months, the charges against them will be dropped. Below, the original story featuring the recorded call between Nix and Dominik. Still funny, not a jailable offense.